We also had a very exciting announcement that Bayonetta 2 is a Wii U exclusive, developed by Platinum Games and published by Nintendo. This is not in the launch window, but is currently in the works. So many games! I hope I can get most of these awesome games. Hope they all use Miiverse!!!! NO,NO,NO,NO!!! YOU NEED TO POST A GO VACATION WII U! I ME AND MY SISTER WILL BUY TWO WII U’S IN ORDER TO PLAY GO VACATION ON THE GO! IF YOU MAKE THIS, I WILL E SO HAPPY! 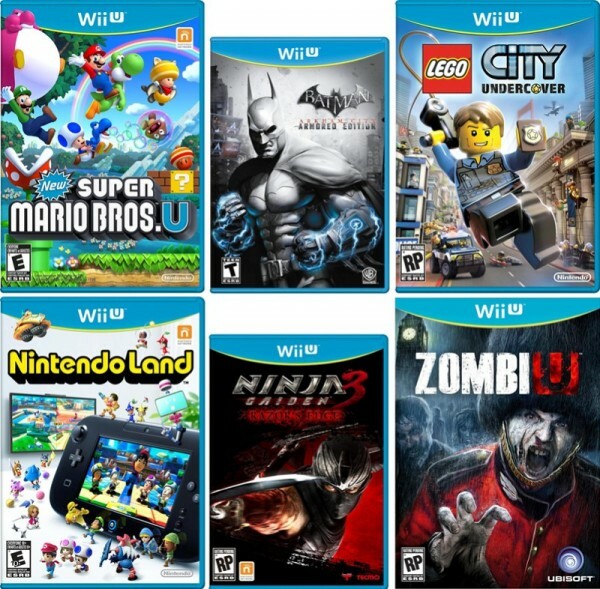 WHEN I READ THE LIST OF GAMES FOR THE WII U, I WAS DEVASTATED AND WAS ABOUT TO CRY! PLEASE ADD IT TO THE LIST! I WOULD LOVE IT! Really looking forward to the new sports titles, like Madden and see how it translate to the Wii U. One of the weakest genre on the current Wii has always been sports. Can’t wait for these new titles! Ninja Gaiden 3 RE is not in the list?